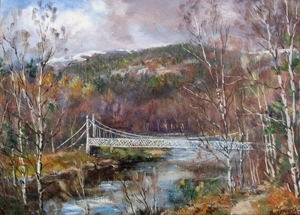 Butterworth Gallery at Ballogie is situated on Royal Deeside between Banchory and Aboyne in Aberdeenshire. The 3-star visitor attraction is family run by Howard Butterworth's eldest daughter Sarah. 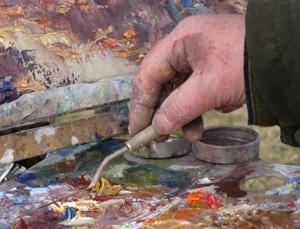 It hosts a permanent exhibition of oil paintings by Howard Butterworth. Howard Butterworth is a renowned Scottish artist and has lived and painted professionally in northern Scotland since 1968. Queen Elizabeth the Queen Mother supported him over the years and his work can be found in her personal collection. 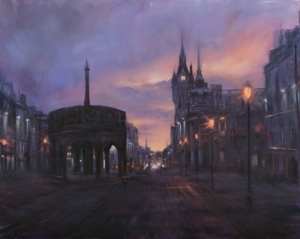 Producing mostly oil paintings, his style captures the atmosphere of light and colour that is so unique to Scotland. 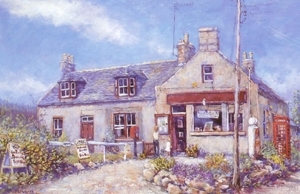 Many of his paintings are now published as prints, cards and giftware. 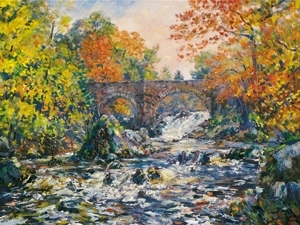 His work has increased in popularity worldwide, particularly his paintings of Scotland including those of native birchwoods, Caledonian pine forests, heather covered moorland and snowcapped mountains, with the lively waters and bridges of Royal Deeside, Aberdeenshire. 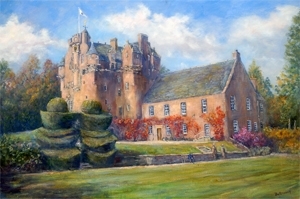 Equally popular are his oil paintings and watercolour paintings of historic castles, such as Edinburgh Castle and Eilean Donan Castle, his coastal towns, seascapes, and city street scenes. His work spans the whole of Scotland. 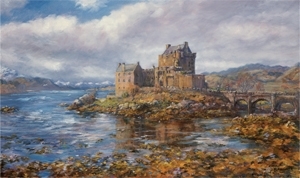 On display in the gallery is an extensive display of framed and unframed prints of Scotland by this Scottish artist. The gallery stocks the full range of limited edition prints and unlimited edition prints. 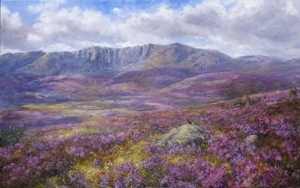 2004 saw the introduction of the youngest daughter Mary Butterworth's original works which are growing in popularity. Also, Butterworth giftware has launched new collections of wooden jigsaws complementing its existing designs, as well as expanding into the new range of placemats and coasters.